[Richard Garsthagen] is one such parent. 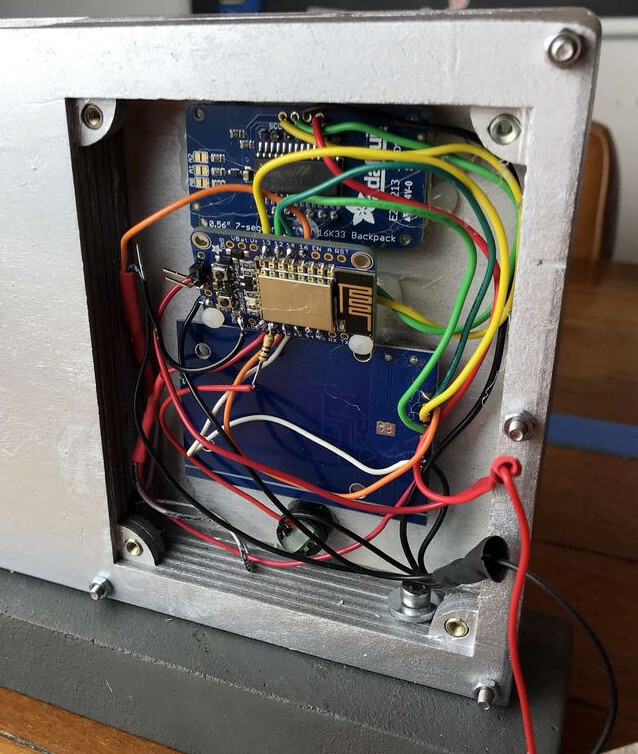 He wanted a way to monitor and control how much time his children were using their iPad, so he came up with an automated system based on the ESP8266. Not only does it keep track of how long the tablet is being used, it even includes a reward system which allows the parent to add extra usage time for good behavior. At the most basic level, the device is a sort of “holster” for the child’s tablet. When the tablet is placed in the slot, it presses a microswitch at the bottom of the cavity which stops the timer. When the switch is open, the LED display on the front of the device counts down, and the ESP8266 pushes notifications about remaining time to the child’s device via IFTTT. Time can be added to the clock by way of RFID cards. The cards are given out as a reward for good behavior, completion of chores, etc. The child only needs to pass the card in front of the system to redeem its value. Once the card has been “spent”, the parent can reset it with their own special card. It’s a very slick setup, making perfect use of the ESP8266. Reading the RFID cards, updating the timer, and using IFTTT’s API keeps the little board quite busy; [Richard] says it’s completely maxed out. You might be wondering what happens when the clock reaches zero. Well, according to the video after the break…nothing. Once the time runs out, a notification simply pops up on the tablet telling them to put it away. Some might see this as a fault, but presumably it’s the part of the system where humans take over the parenting and give the ESP8266 a rest. This isn’t the first time we’ve seen a microcontroller used to get the little hackers on schedule. At least (so far) none of them have gone full Black Mirror and started tracking when the kiddos are watching it. You find them everywhere from 3D printers to jet airliners. They’re the little switches that detect paper jams in your printer, or the big armored switches that sense when the elevator car is on the right floor. They’re microswitches, or more properly miniature snap-action switches, and they’re so common you may never have wondered what’s going on inside them. But the story behind how these switches were invented and the principle of physics at work in the guts of these tiny and useful switches are both pretty interesting. It seems [Pete Prodoehl] was working on a project that involved counting baseballs as they fell out of a chute, with the counting part being sensed by a long lever microswitch. Now we all know there are a number of different ways in which one can do this using all kinds of fancy sensors. But for [Pete], we guess the microswitch was what floated his boat — likely because it was cheap, easily available and replaceable, and reliable. Well, the reliable part he wasn’t very sure about, so he built a (not quite) Useless Machine that would conduct an endurance test on the specific switch brand and type he was using. But mostly, it seemed like an excuse to do some CAD design, 3D printing, wood work and other hacker stuff. The switches he’s testing appear to be cheap knock-off’s of a well known brand. Running them through the torture test on his Useless Machine, he found that the lever got deformed after a while, and would stop missing the actuator arms of his endurance tester completely. 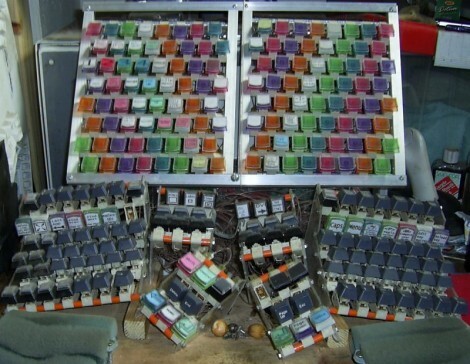 In some other samples, he found that the switches would die, electrically, after just a few thousand operations. The test results appear to have justified building the Useless Machine. In any case, even when using original switches, quite often it does help to perform tests to verify their suitability to your specific application. Ideally, these microswitches ought to have been compliant to the IEC 61058 series of standards. When switches encounter real world loads running off utility supply, their electrical endurance is de-rated depending on many factors. The standard defines many different kinds electro-mechanical test parameters such as the speed of actuation, the number of operations per minute and on-off timing. Actual operating conditions are simulated using various types of electrical loads such as purely resistive, filament lamp loads (non-linear resistance), capacitive loads or inductive loads. There’s also a test involving a locked rotor condition. Under some of the most severe kinds of electrical loads, a switch may be expected to last just a few hundred operations. But if the switch is used for low power applications (contact current below 20 mA), then it is expected to last up to its mechanical endurance limit. For most microswitches, this is usually in the range to 100,000 to 300,000 operations. Coming back to his project, his first version was cobbled together as a quick hack. A 3D-printed lever was attached to a motor fixed on a 3D-printed mount. The switch was wired to an Arduino input, and a four-digit display showed the number of counts. On his next attempt, he replaced the single lever with a set of three, and in yet another version, he changed the lever design by adding small ball bearings at the end of the actuator arms so they rolled smoothly over the microswitch lever. The final version isn’t anywhere close to a machine that would be used to test these kind of switches in a Compliance Test Laboratory, but for his purpose, we guess it meets the bar. For those interested, here is a great resource on everything you need to know about Switch Basics. And check out the Useless Machine in action in the video below.